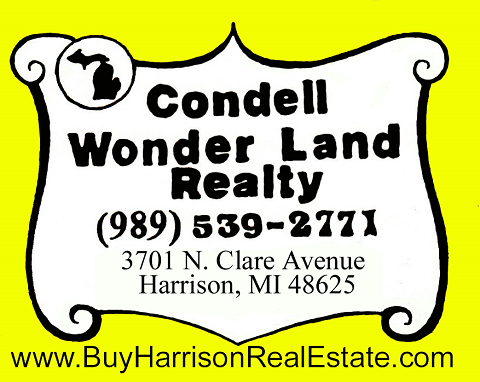 Buying or selling Beaverton MI Real Estate contact Condell Wonder Land Realty and information on Beaverton MI. Condell Wonder Land Realty has a great selection of all types of Northern Michigan Real Estate and has been listing and selling Beaverton MI. Real Estate for many years, so if you are looking to buy or sell property in Beaverton MI. please contact us! "Beaverton Michigan" is located in southeastern Gladwin County at the junction of the Cedar and Tobacco Rivers. It was founded in 1890 by Donald Gunn Ross & Sons, lumbermen from Beaverton, Ontario. This town was first named Grand Forks because of its position on the 2 rivers, but was later named Beaverton by the Ross’s in tribute to their Canadian home town. The main feature of this area is the dam, which creates a scenic pond up both rivers. You can also get some good fishing in either below the dam, or in the park above on the pond. For more information on Beaverton MI, please visit the Beaverton Area Business Association.